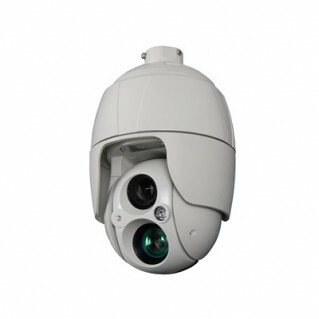 MEGApix ONVIF Compliant, 2.1 Megapixels (1080P, 30fps) PTZ, Triple Codecs (H.264, MJPEG, MPEG4) with Dual Stream, 1/3" CMOS Sensor, 4.3- 129mm Auto Focus Lens, 30X Optical Zoom, 16X Digital Zoom, 1300ft Smart IR, Auto Day and Night with IR Cut Filter, 256 Preset, 8 Patterns, 8 Tours, Vector Drive, Power over Ethernet [PoE] & 24VAC, Two-Way Audio, E-mail Event Notifications, IP66 Certified, Web Server Built-in, Double Shutter WDR (100dB), 3D-DNR (3D Digital Noise Reduction), Programmable Privacy Zones (30) & Motion Detection. Heater and Fan, 2 Year Warranty. Note: Must be partnered with a DWC-P30WM or DWC-P30CM or DW-P30PARAM. PoE Injector included.